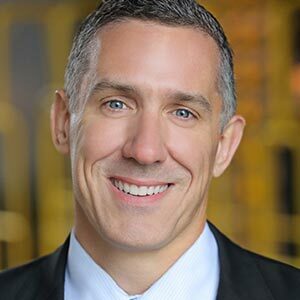 Rob Holston is a 20 year veteran of the products, services, and retail industries and is currently a Principal in EY’s Performance Improvement Advisory Practice where he leads the Advanced Analytics Practice in the Americas and the Global Consumer Products and Retail analytics practice. Previously Rob was EVP and Global Advanced Analytics Division Head for Information Resources, Inc (IRI). He was a member of the company’s Executive Committee. In his current role, Rob leads cross-industry client engagements focused on the application of analytics and big data approaches to solve complex business issues in the areas of sales, marketing and commercial transformation. Previously, Rob was the Global Director for Shopper Marketing at The Coca-Cola Company. Prior to The Coca-Cola Company, Rob was an Executive at Accenture leading many engagements and client teams in Brand Analytics and Pricing Strategy. Holston is a frequent contributor to publications and his analysis and points-of-view have appeared in AdAge, BrandWeek, Fortune, and the Financial Times. He has been a keynote speaker at Consumer Electronics Show (CES), Grocery Manufacturers Association (GMA), and the Walmart Global Analytics Conference. He has an undergraduate degree in finance and marketing from Drexel University and a master’s degree in marketing and operations management from The University of North Carolina – Chapel Hill – Kenan Flagler School of Business. He is currently a trustee at The Marketing Sciences Institute.